Aircraft seen in the movie SWAT & Passenger 57. The L1011 interior filming from Passenger 57 is now part of the Delta museum. The cast of LOST came together for photos and autographs at the Hilton Hawaiian Village in Honolulu on Sept 10, 2005. The cast rose over $20,000 for the Red Cross and Katrina relief. What if the aircraft was an L1011? 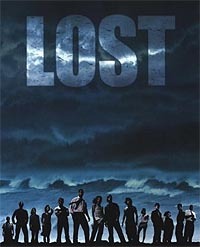 The aircraft was filmed on the beaches of Hawaii for ABC's hit television series LOST. In the TV series, the tail section is never seen since the rear of the aircraft remained in California as pictured shown below. L1011 production model 1009 was the 9th L1011 built and first flew June 12, 1972. The aircraft was originally delivery to Eastern airlines as N308EA. The aircraft was later stored in Mojave in early 1991 and purchase 7 months later by Delta. Delta reregistered the aircraft as N783DL and flew it for six and half years before storing it in Victorville and later back to Mojave. In early 2004, the aircraft was purchased by Aviation Warehouse, a company that specializes in aviation props for television and movie production.